This one is rather stunning to me, folks. In general, the lack of accessories that come with figures nowadays is a real travesty. During the “good old days,” I remember getting entire crates of extra blasters. Now we have figures like Jedi Luke who come with zero accessories. At least with Luke, he never had his green lightsaber in hand wearing that outfit, so I guess I can let it slide. 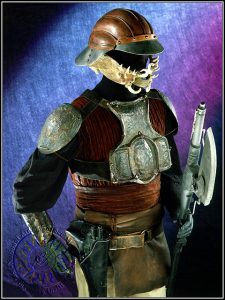 With Lando, though, he definitely has a blaster, at least according to an archived Smithsonian exhibit webpage (see below) showcasing production models, artwork, and costumes from Return of the Jedi. Where on earth did his blaster go with this release? Was it a lazy mistake, or a cost-cutting measure? 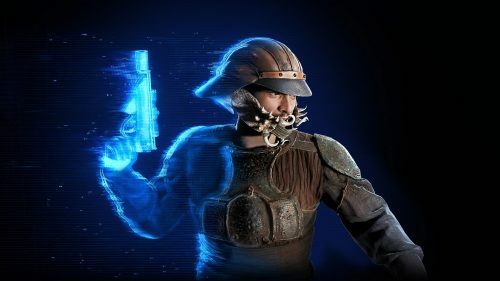 Does this mean we do not have a definitive version of Lando disguise still? 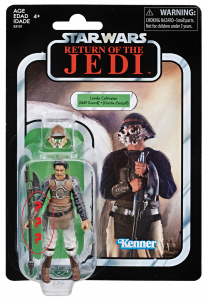 I hope that Hasbro makes a running change for this figure and releases it including his blaster. On a more broad spectrum, it would be wonderful if Hasbro would start including more accessories with their figures again to add value for collectors. Previous Article: Quick Pics! 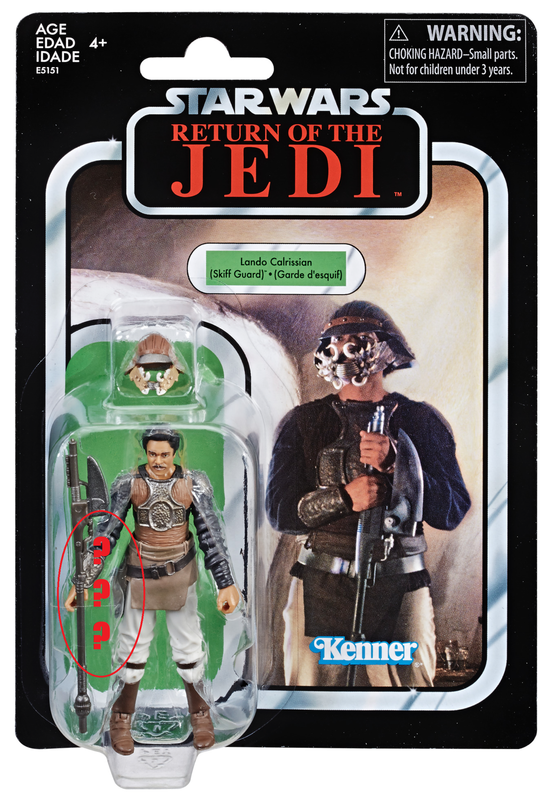 Walmart Exclusive TVC Lando Calrissian (Skiff Guard)!